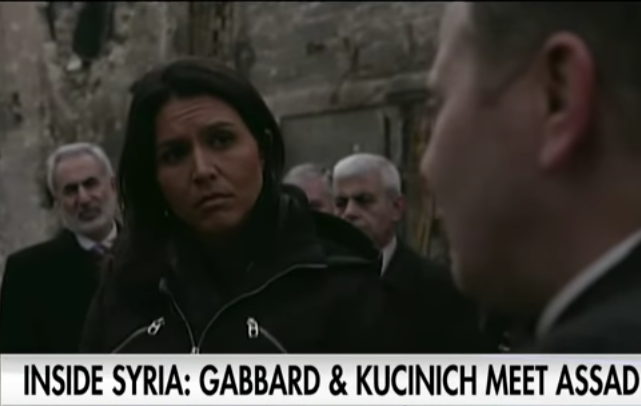 U.S. congresswoman Tulsi Gabbard has recently returned from Syria where she spent four days. She told CNN about her trip to the war-torn country. 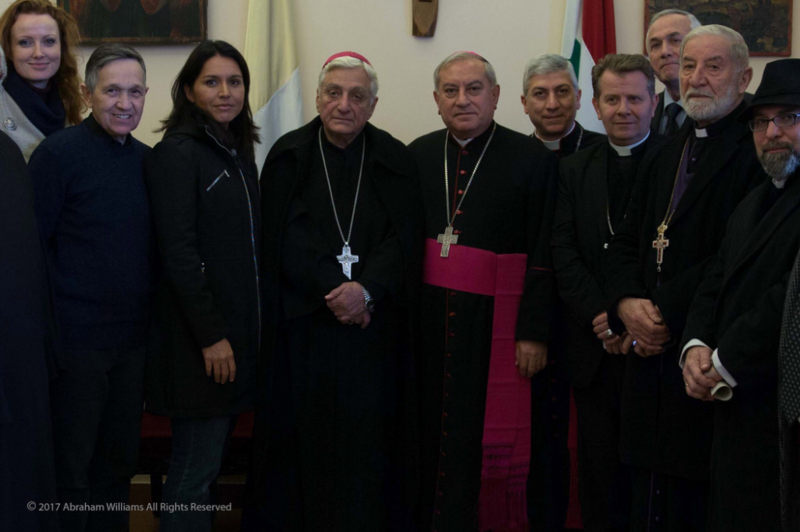 During her visit, Gabbard had an appointment with President Bashar al-Assad, clergymen and citizens; she also visited a hospital. According to her, the locals were glad to see the congresswoman and hoped that she would be able to reveal to the Congress the true state of things in the country. However, many asked her why America backs terrorists and supplies them with weapons. In the press release at her website, Gabbard said that she couldn’t answer this question. 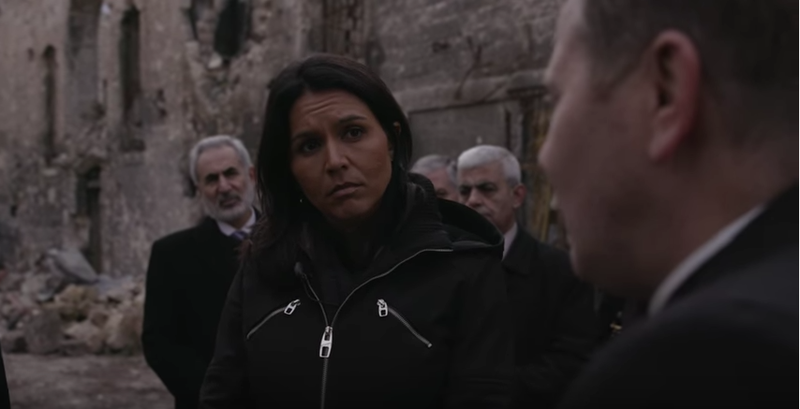 Talking about the goal of her trip, Gabbard stated that she had been trying to convene the bowels of compassion of U.S. citizens towards the suffering of Syrians. She stressed that it was important to end the war which has brought much suffering to Syrian families. 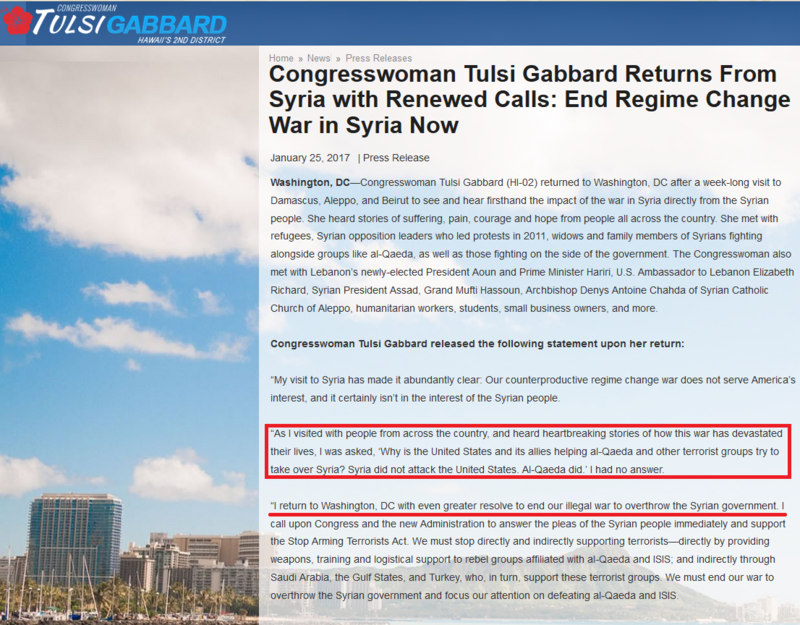 The congresswoman also claimed that if politicians have talked about compassion for Syrians, peace had to be achieved by all means. CNN journalist Jake Tapper asked Tulsi Gabbard whether she had any compunctions about meeting the Syrian leader Bashar al-Assad. The journalist also claimed that the Syrian president was allegedly responsible for murdering hundreds of thousands of Syrians and for the fate of millions of people who had had to leave their homes. Unfortunately, only few politicians agree with Gabbard. 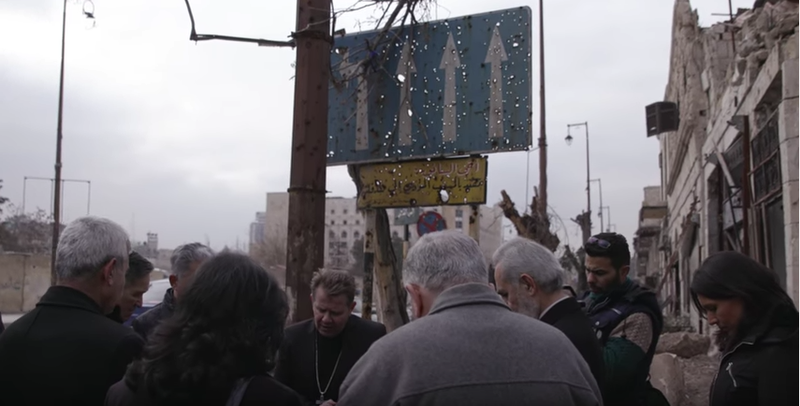 On the one hand, the future of Syria truly belongs to the Syrian citizens and it’s only their right to decide in what country or with what legitimate power they would live on. On the other hand, the international coalition invaded the territory of a sovereign state and backs the opposition under the veil of tackling the Islamic State. Thus, even U.S. politicians acknowledge the inconsistency of the American foreign policy. They objectively accuse Washington of illegal military operations in Syria which have led to hundreds of thousands civilian casualties.